Mike is a litigation partner with a broad commercial litigation practice. Half of Mike’s practice consists of trade secret and restrictive covenant litigation, representing one of the world's largest financial services firms in state and federal courts and FINRA arbitrations throughout the country. In that capacity, Schuyler, Roche & Crisham has selected a team of lawyers who have implemented a national program involving the enforcement and defense of restrictive covenant contracts, have advised hundreds of financial advisors and teams on the “do’s and don’ts” of their transitions, and have counseled on how to enforce restrictive covenants and confidentiality provisions when advisors depart the company. Mike is a member of Schuyler, Roche & Crisham’s team. Mike devotes the other half of his practice to complex commercial litigation, serving as trial counsel in breach of contract, fraud, construction, employment, and banking litigation matters. Mike has represented Navistar Inc., Navistar Financial Corporation, Recycled Paper Greetings, Inc., and Hollister Incorporated. Other clients Mike has include C.A. Lawton Co. and Spikeball, Inc. In October 2014, Mike was named to the Chicago Law Bulletin’s “Forty Under 40” attorney list recognizing Illinois’ top up-and-coming lawyers. 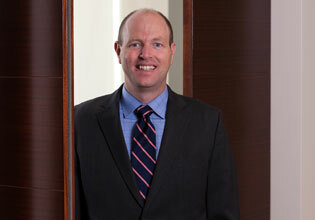 Mike was also named a rising star by Super Lawyers magazine in 2008, 2009, 2010 and 2012. Member of the trial team that represented UBS Financial Services Inc. in a four week arbitration against Wells Fargo Financial Advisors, LLC involving claims of trade secret misappropriation, breach of contract and breach of fiduciary duty. In May 2016, the arbitration panel rendered a $1,100,000 award in favor of UBS. The Panel’s decision made national headlines, including articles in the Wall Street Journal and Law 360. Secured emergency injunction to enforce non-competition clause in agreement with former employee who left the company to work for a competitor. UBS Financial Services Inc. v. Christenson, 2013 WL 2145703 (D. Minn. 2013). Obtained award in breach of contract action against former employee before the Financial Industry Regulatory Authority (“FINRA”) for $577,000 in damages, which represented the full amount of relief sought. UBS Financial Services Inc. v. Frank Bodi, Case No: 10-02325. Obtained several other arbitration awards totaling over $1.5 million in breach of contract cases before FINRA. UBS Financial Services Inc. v. Peter Skoufis, Case No: 11-02190 (Wis.); UBS Financial Services Inc. v. Howard Isaacson, Case No: 10-05360 (Fla.); UBS Financial Services Inc. v. Mark Wood, Case No: 10-03063 (Missouri); UBS Financial Services Inc. v. William French, Case No: 11-02681 (West Virginia); UBS Financial Services Inc. v. Jay Nisbet, Case No: 12-01028 (TX). Member of the trial team that represented RPG Investment Holdings, LLC, the controlling shareholder of Recycled Paper Greetings, in a breach of contract action against American Greetings. After a year and half of protracted litigation, the parties entered into a settlement agreement. RPG Investment Holdings, LLC, et al. v. American Greetings Corp., Case No. 1:08-cv-04422 (N.D. Ill. 2010). Successfully prosecuted a commercial mortgage foreclosure action on behalf of First National Bank of Naperville against 17 separate borrowers. This action involved first litigating the validity of several million dollars in mechanics' lien claims that were recorded against 42 acres of land valued at one time at $25 million dollars, and then foreclosing seven separate mortgages. First National Bank of Naperville v. Physician’s Owned LLC, et al. Case No. 06-CH-486 (Ill. Cir. Ct. 2009). Secured a $1.2 million judgment for Five Star Distributors, Inc., a candy distribution company, in a breach of contract and unjust enrichment action. Five Star Distributors, Inc. v. North American Coffee Co., Inc., Case No. 04-L0025 (Ill. Cir. Ct. 2009). Honored by Chicago Daily Law Bulletin and Chicago Lawyer in their 2014 list of Forty Illinois Attorneys Under 40 to Watch. "Staying Secure in a Competitive Environment," panel discussion at the seminar Engineering Through the Legal Issues (see "Covenants Not to Compete, Trade Secrets, Unfair Competition and Copyright"), Structural Engineers Foundation, 2004. J.D., Loyola University Chicago School of Law, Chicago, Illinois, 2002. Law Review, Loyola Law Journal; 200-2002. B.A., Political Science, Marquette University, Milwaukee, Wisconsin, 1997. Academic scholarship recipient, Marquette University.